We're doing some late spring cleaning and have listed over 100 G.I. Joe figures and vehicles on eBay. Many of the items were used for our photo archive and are in great shape with all parts and accessories. All auctions start at $1 and end this Sunday so be sure to check out our listing in case there's anything you need for your collection. Happy bidding! Cinemark has announced a special advanced screening of G.I. Joe: Retaliation on Wednesday, March 27 at 7 p.m at selected XD theaters, in the U.S. The first 100 attendees at each participating theater will receive a complimentary pair of limited edition G.I. 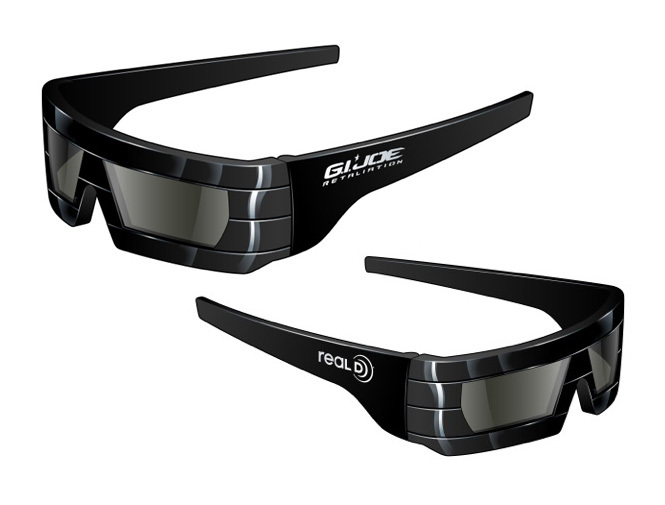 Joe: Retaliation branded RealD 3D glasses. Visit Cinemark.com and enter your zip code to see if your local theater is participating. G.I. Joe: Retaliation opens in theaters nationwide on March 28. The G.I. Joe Collectors' Club has announced Iceberg as it's 2013 3-3/4-inch membership incentive figure. Iceberg is free for all Officer Level club members who have an active membership by March 16, 2013. An Officer Level membership is $44 with third class postal delivery of the monthly newsletter or $67 with first class postal delivery of the month newsletter. Canadian and International memberships are also available, for $66 and $92, respectively. Iceberg will come bagged with an assault rifle, rocket launcher with shell, knife, sub-machine gun, snow board and backpack with attachment frame, stand, and file card. The club expects Iceberg to ship in late spring / early summer 2013. It's been said that Hasbro needed to inject some life into G.I. Joe so that future generations could enjoy it for years to come. The 3-D conversion of G.I. Joe: Retaliation, coupled with its star-studded cast gives the brand global exposure and some much needed excitement. We spoke with Hasbro’s marketing team about their 2013 plans for G.I. Joe and discussed what they envisioned for the brand moving forward. Here's a look at some of Hasbro's figures offerings for the upcoming year. For those of you who have been waiting for Kwinn and the Data-Viper, as well as fans of the Sunbow versions of Cobra Commander and Storm Shadow, we've got great news. 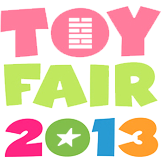 Our Toy Fair 2013 coverage kicks off this Saturday afternoon with a first look at Hasbro's G.I. Joe lineup starting at around 1 p.m. EDT. We'll be tweeting, taking photos, recording YouTube videos and asking your questions for Hasbro live from the showroom floor. Be sure to follow us on Twitter , subscribe to our YouTube channel and like us on Facebook for up-to-the-minute coverage and notifications. If there's anything you'd like us to ask Hasbro, be sure to leave a comment and let us know. Registration for G.I. JoeCon 2013 is now open. Several packages are available for both attendees, as well as non-attendees interested in purchasing some of the con exclusives. G.I. JoeCon 2013 runs April 4 - April 7 at the JW Marriott in Indianapolis.